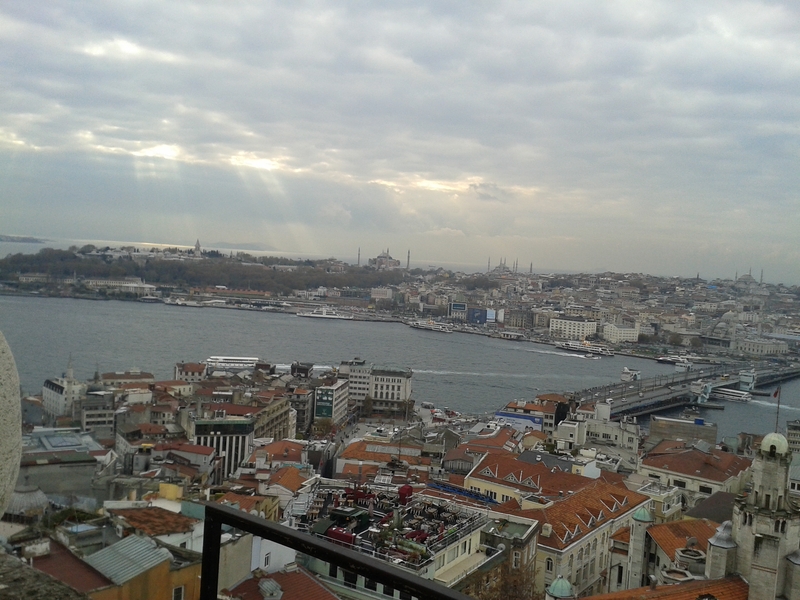 Istanbul is a city buzzing with energy. Depending on where you are, the crowds, noises, traffic and chaos can drive you nuts – especially when you’re not used to it. Me personally, I haven’t even gotten close to growing a custom to this frenzy in three months. 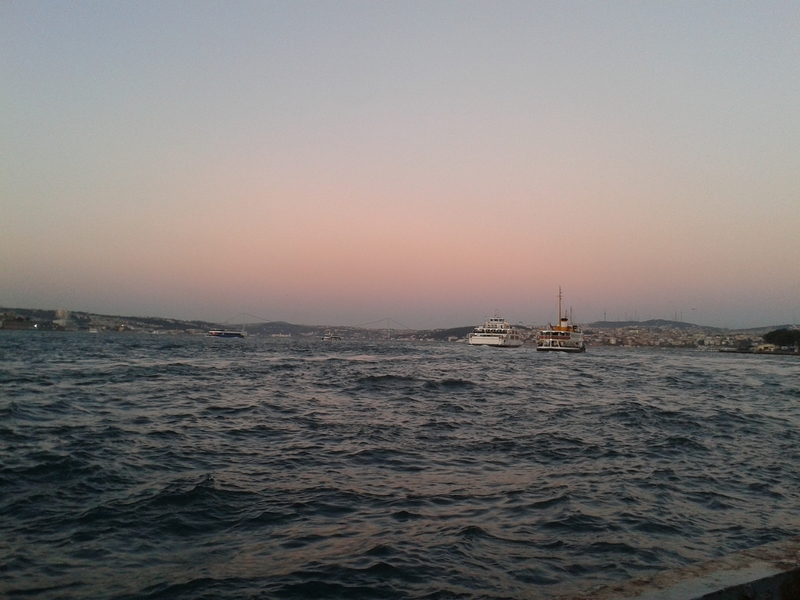 So every time I felt like my mind couldn’t take any more of that hustle and bustle, I made my way to the bosphorus (which means, all of the time). Just being close enough to see it made me calm down a little. Every time we took the metro to uni – forty minutes of being way too close to way too many people on a train rocking from side to side – I tried to spend most of the ride snoozing, but I never closed my eyes between the stations Karaköy and Eminönü, because that was when we crossed the Golden Horn on the Galata bridge and could get a glimpse at the glittering waters beyond the train windows. So probably like everyone else who sets foot in this city, the bosphorus has worked to enchant me and its magic hasn’t ceased to fascinate me until today. 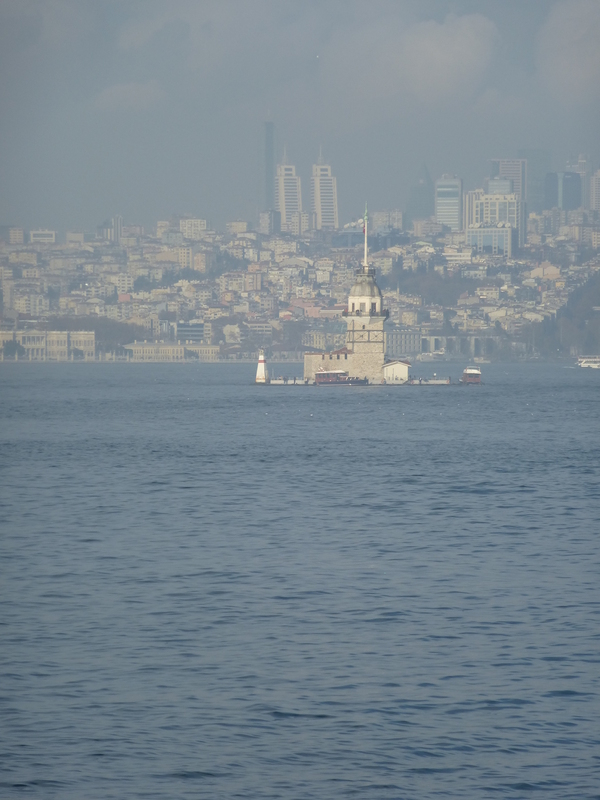 Of course, seeing it from the metro was just a fraction of the impression the bosphorus had when I actually sat by it and tried to admire its beauty while overcautiously spying at the pretty large seagulls fighting each other for food nearby. As a city stretched out over two continents separated by a shiny surface of water, it is quite normal for people to have business on either the European or the Asian side and just hop on a ferry like others might onto a bus elsewhere (only that here, the bus would probably be stuck in traffic for three hours). 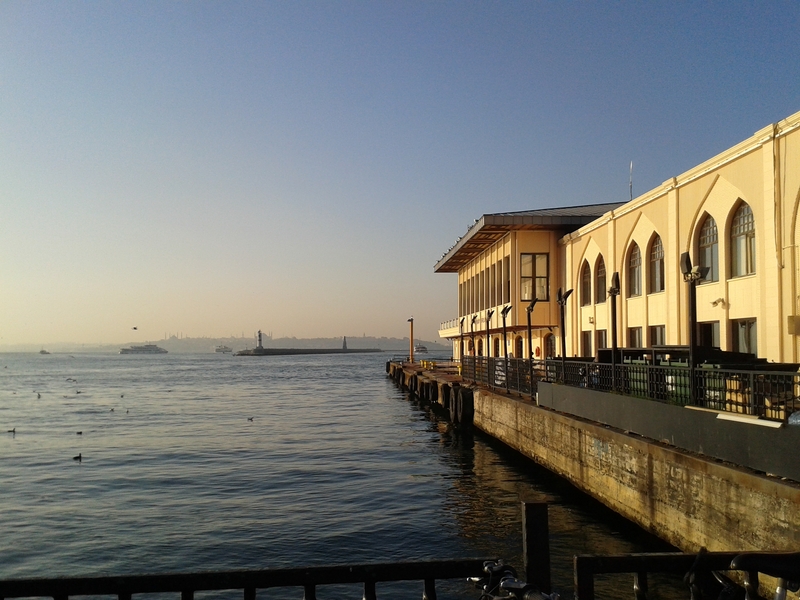 I for my part did not have any business on either side of the city, but living on the European side, I loved to catch the ferry to the Asian side of Istanbul – just because I could. 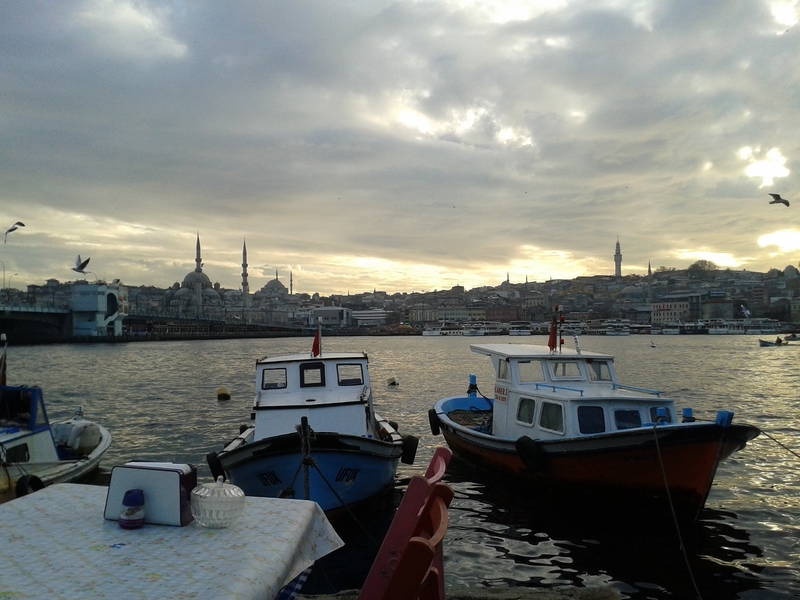 Most important in this list of course is çay, the traditional Turkish tea, that could be found and enjoyed basically everywhere, but to me, it never tasted as good as on the ferry rides. 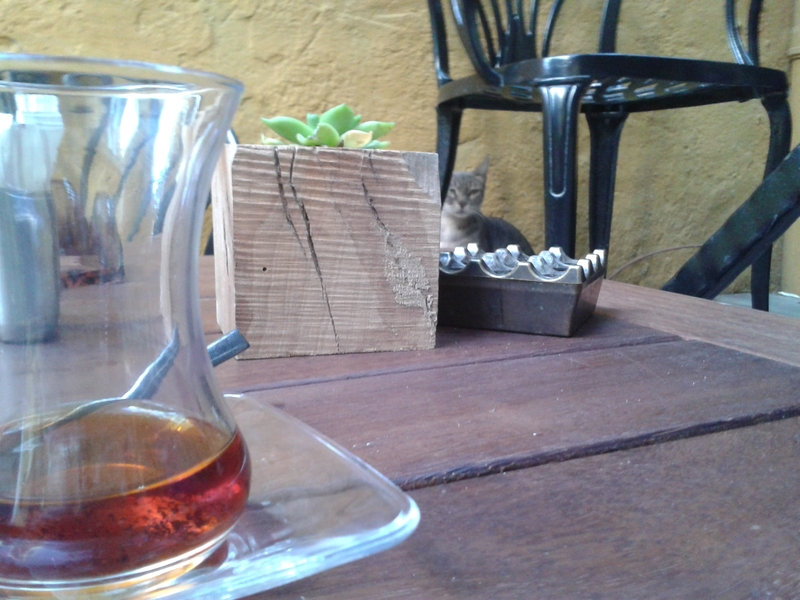 Maybe it was because the hot beverage was the perfect match for the cold draft around you, maybe because the tiny tulip-shaped glass seemed to offer just the perfect amount of çay for the twenty minute ride across the bosphorus – I don’t know and frankly I don’t care. 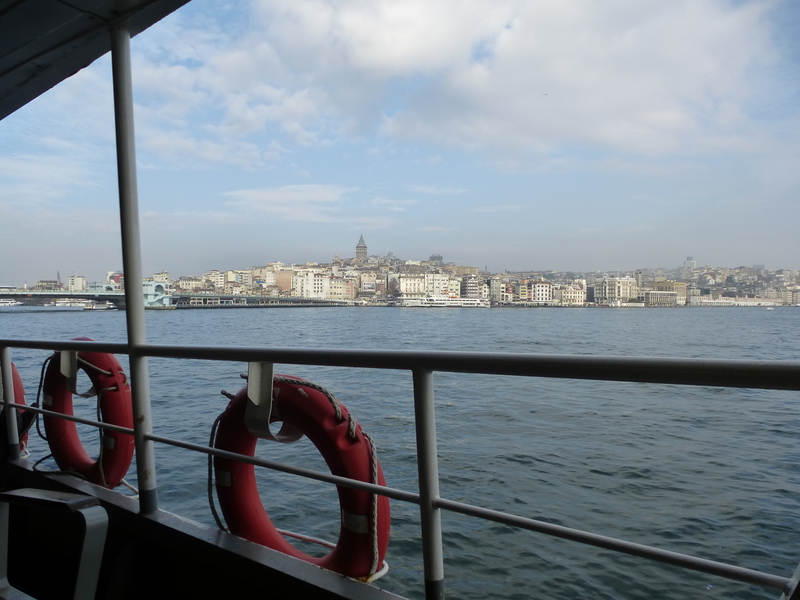 I only know that if I got the chance to go back to Istanbul just once, I would do just that: Drink çay on the ferry. These are the places that I truly fell in love with in Turkey – and where I also experienced some of my cringiest language barrier moments. From what I learned, lokanta is a basically a turkish word for restaurant, but the type of eatery it means is very specific: It’s not a fancy one that requires a reservation or a dress code – mostly because it’s not even necessarily one with a menu. Instead, you just grab a tray when you enter and order your food while walking along the counter that displays all the dishes. That’s where we get to the cringy part: Because after some time in Istanbul, I was very well able to order food properly – only that in the lokantas, I never knew the dishes’ names and there was usually a long queue of hungry people behind me. So I mostly ended up going with a “I would like” and then pointing at the desired delicacy. You would think that this method could work out quite fine, wouldn’t you? But the thing is that the counters usually held so many different foods that there would be confusion for sure and I would hold up everyone in line and then the guys behind the counter would start laughing and I would start laughing, but they would still be laughing by the time I had finished my lunch, so that was a little awkward. Lucky me, I soon discovered what felt like the most delicious soup in the world – and I even managed to remember it’s name: mercimek çorbası – lentil soup. But was it really so good that I couldn’t possibly forget the name? Or did my victory of memorizing the name make me like it so much? If you ever get to try it, you will know the answer. 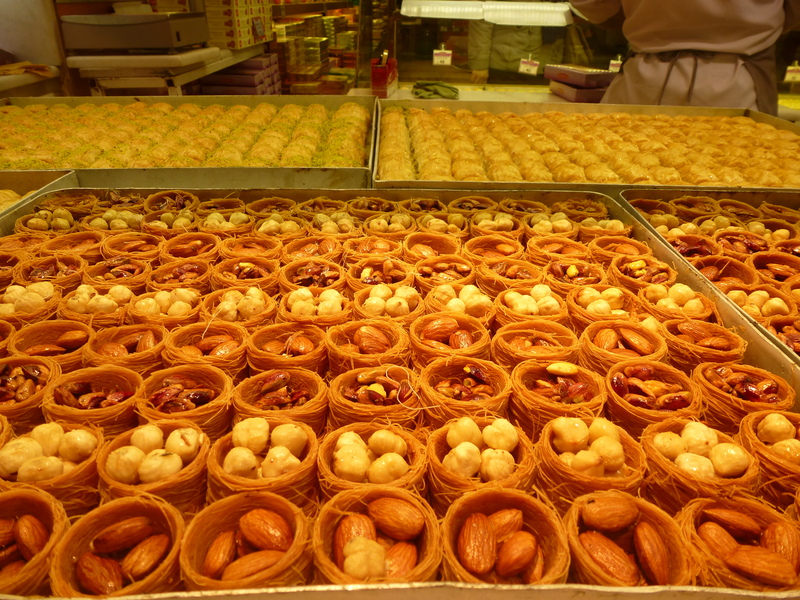 I know I have been going on about food related things for a bit now… but no wonder, because they are such a big part of Istanbul’s marvels. So let’s just face that I have to add one more before even considering anything else for this list: The markets – although they are so numerous and diverse in their nature that describing them as “the” markets is simply inadequate. 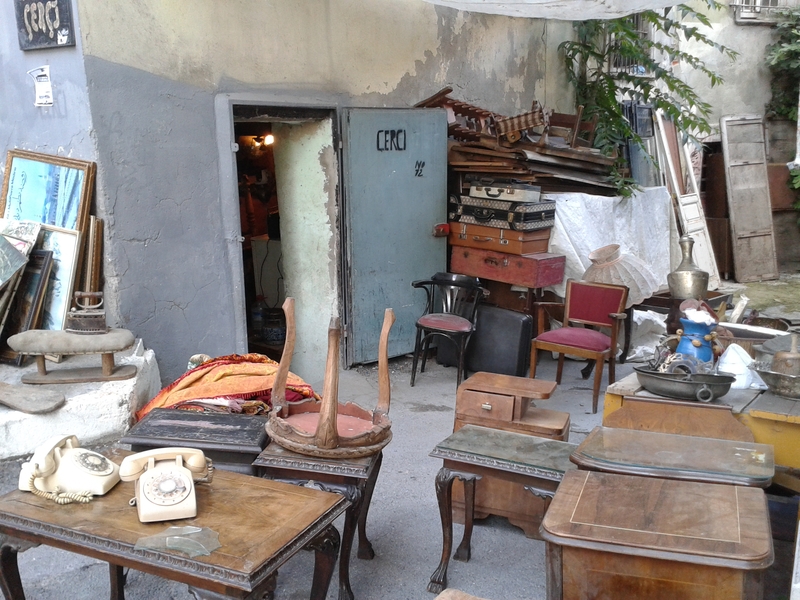 The options are countless and they go far beyond the obvious ones like the world-famous Kapalı Çarşı, the Grand Bazaar. I mean sure, places don’t become one of the most visited tourist destinations on this planet for nothing (or maybe even the most, not trying to make false assertions here). The Grand Bazaar is definitely worth a visit, but if I were to suggest a market experience to anyone visiting for a few days only, I would suggest starting at the Egyptian spice bazaar, more precisely: behind it. Right there starts a maze of small alleyways that no matter how often I visited I always found to be super crowded and buzzing with activity. Although the shops are there permanently, they look and feel more like market stalls. 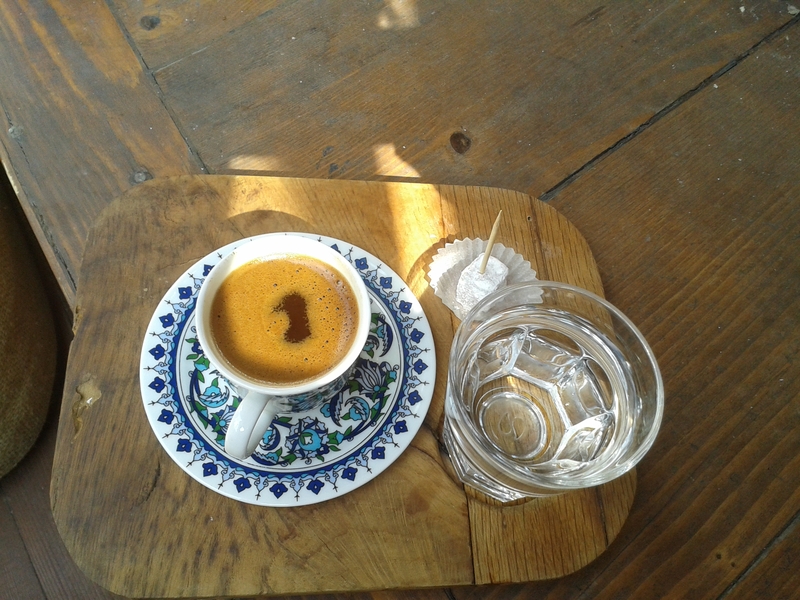 (With some exceptions: You can find the famous Mehmet Efendi coffee roasters, a place so tiny you can only buy your coffee over the counter through a window, but with a smell so rich, so appetizing, so inviting you will smell it when you’re three streets away). Just floating through these alleys, flipping from one sales booth with oils, spices, olives or pickles to another shop window with ceramics, jewellery or shiny dresses to the next street food vendor’s trolley, you will arrive at the gates of Grand Bazaar soon enough, but I personally enjoyed (and miss) the bustle outside much more. Another aspect of market-love is of course drawn to the other markets, those where tourists are not a thing but bargains sure are: the fresh food markets. Each quarter having it’s own on a different day of the week, you could basically shop the tastiest vegetables and fruit every day somewhere in the city, but as you can see in the picture, we used to go there all prepared to buy huge amounts of food, so we usually chose the one that was closest to our house. Here, it was all about seasonal vegetables in all sizes and shapes (those that would never be sold in a European supermarket because of their optics and despite their deliciousness). With our little trolley, we set off almost every Sunday to bargain for our weekly intake of vitamins, although I’m pretty sure we didn’t do the best job at that. It was however really nice to stroll around between the stands, try some fruits and try our luck with the Turkish sales talk. It took me a while before I could laugh about the occasional old lady shoving you aside while mumbling angrily or running her trolley over your feet. But sometimes, when I go grocery shopping now, I wish someone would just buyrun buyrun buyrun me to their stand, laugh at me for not knowing what banana means, but then teach me the word with a big smile. I would even let old ladies trample all over me for that if necessary. 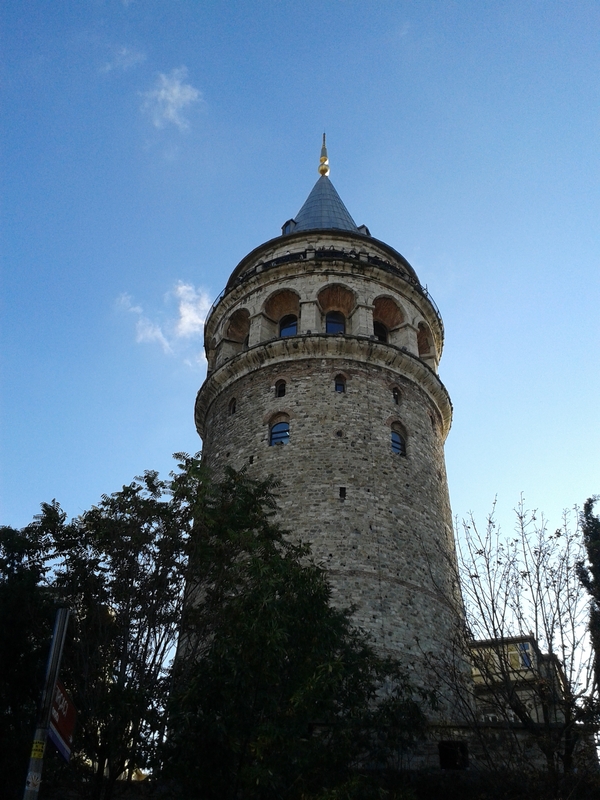 You might have noticed that the ever-present language barrier has been a major issue in many of my Istanbul-experiences. And yes, my struggles with Turkish were real. Although it is said to be a language with a fairly simple grammatical structure (compared to my mother language for example), it is all the more hard to use on a daily basis. That means: If I could stare at a Turkish phrase on a piece of paper for about five minutes and take my time to identify the different syllables attached to the original word, I would probably find out the meaning at some point. BUT – surprise! That does not work very well on the street, in the lokanta, the market or basically anywhere you want to actually talk to people. The Turkish class I had been taking as a preparation for my semester abroad turned out to be even less useful than expected. To be fair: If someone had asked me what the kids were playing in the garden or whether I thought these flowers were pretty, I would have totally nailed that answer. As to the rest of the situations in life, my language skills were not exactly efficient. You can image how proud I was when I started to pick up certain words, formulations, phrases that helped me get along – even if it was just to ask for a waiter’s attention the proper way. When every day brought new challenging situations in which I couldn’t get my thought across, every other day brought some solutions along. And maybe every other week, when one of these had actually worked out for me in a conversation, I would spend the rest of the day grinning with the satisfaction that comes from succeeding in a foreign language only. My eagerness and pride to learn the Turkish language grew even more when after a while, I started to understand some of the literarily beautiful ways in which the most mundane things are expressed in Turkish. Just to make an example: When someone is sick, in German we wish them gute Besserung, which literally means a good recovery, while the Turkish say geçmiş olsun. Of course, that’s a way of wishing for someone to get well soon, but in a more literal translation, it says may it pass quickly. Come on, how much more beautiful is that? I really like how that could apply to more situations than being physically sick. Not sure how that works though – could I say that to someone who is lovesick? Anybody know? To make a long story short, I really miss hearing and using this language on a daily basis, not only because we tend to forget everything we studied hard for when we don’t practice, but also because of the lovely things you can say in Turkish without being a weirdo. Try approaching someone who is working with may your work come easy in any other country and they will probably give you a strange look – say kolay gelsin to a working Turkish and you will only be polite. I love that! What words would there be to describe the endless sights, discoveries, panoramic look-outs, attractions and historic sites of this city? 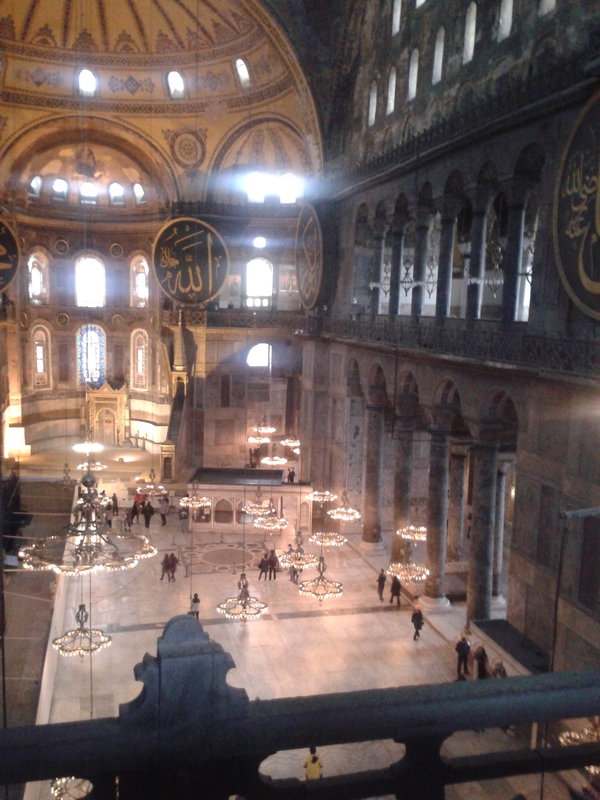 Let’s make this clear and brief: Istanbul is full of wonders. A lifetime probably wouldn’t be enough to experience them all. 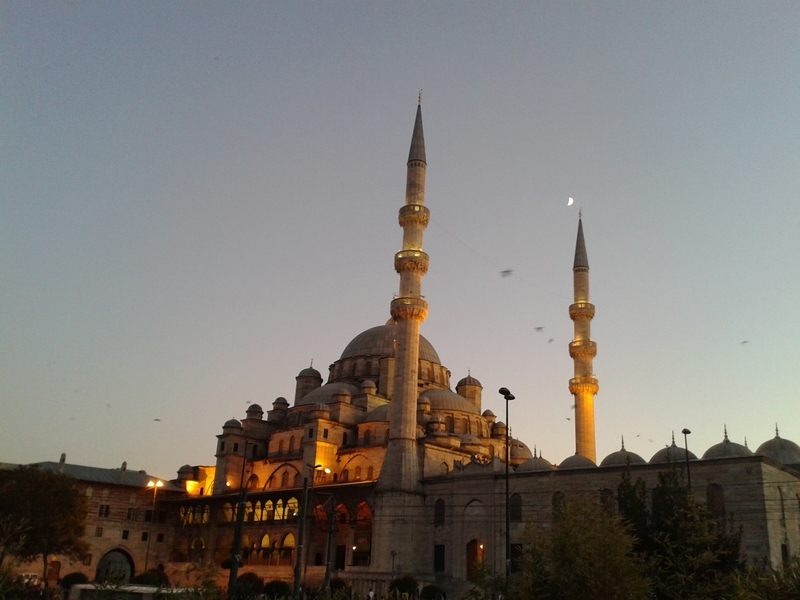 Talking about sights, many tourists are drawn to the famous mosques in Istanbul as much as to other landmarks. 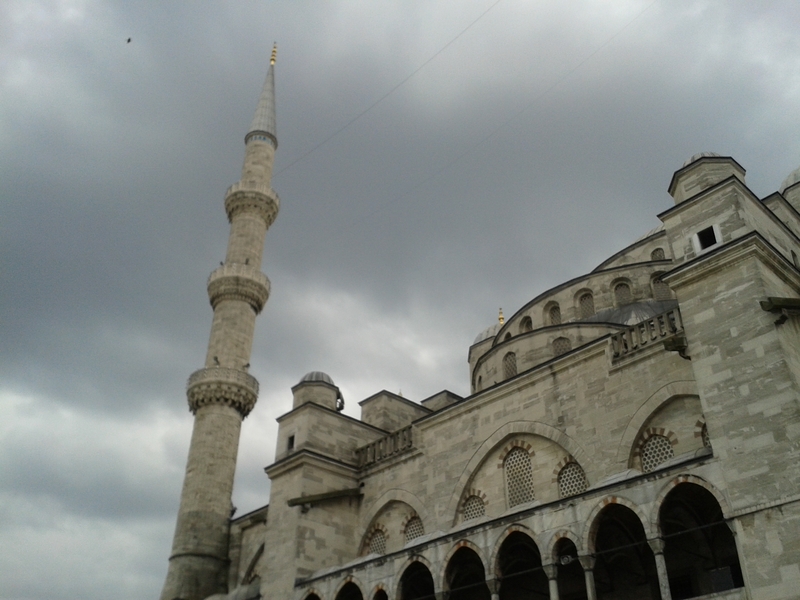 I don’t think that many visitors leave the city without having been to the Sultanahmet Camii, the Blue Mosque, and of course it is impressive and beautiful. 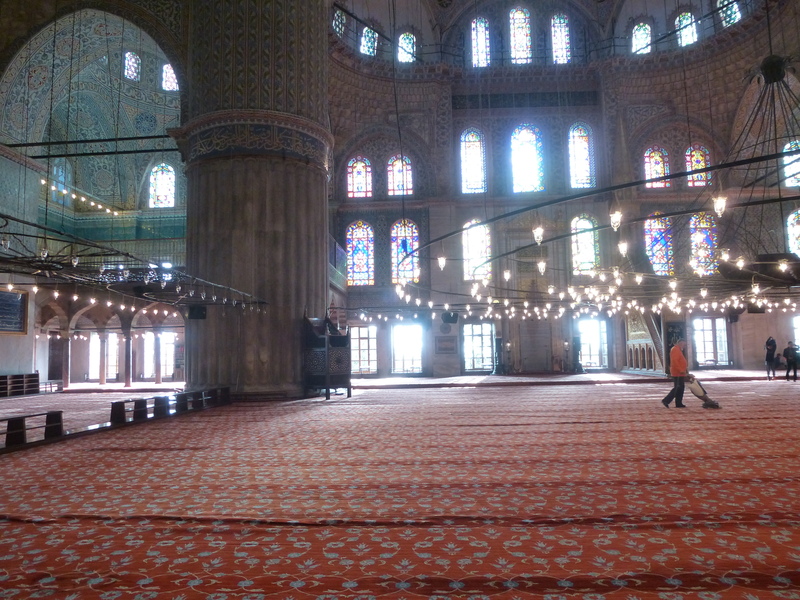 I hadn’t visited too many mosques before I came to Istanbul, so I was mostly interested in a “touristy way” when I visited the first ones. 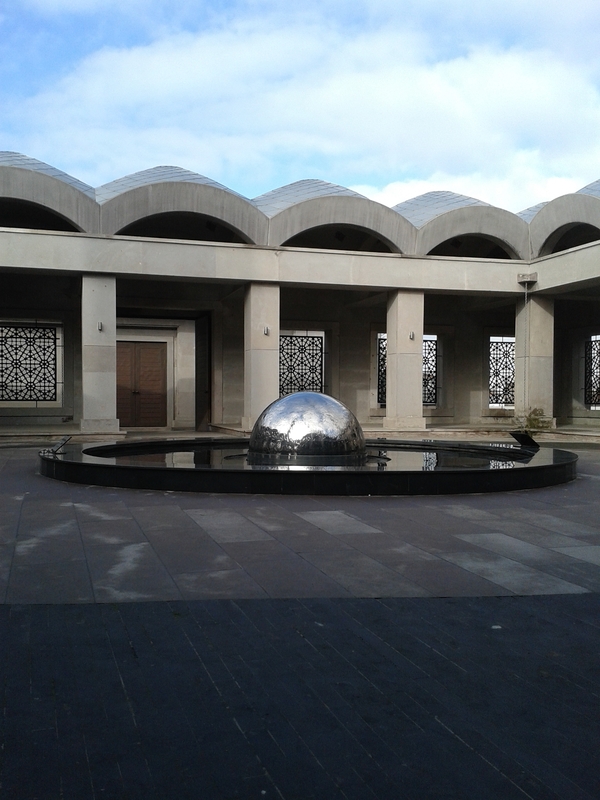 But strangely, I started to really enjoy being there – I call this strange because I am no religious person whatsoever and usually, I don’t feel very comfortable in houses of prayer. 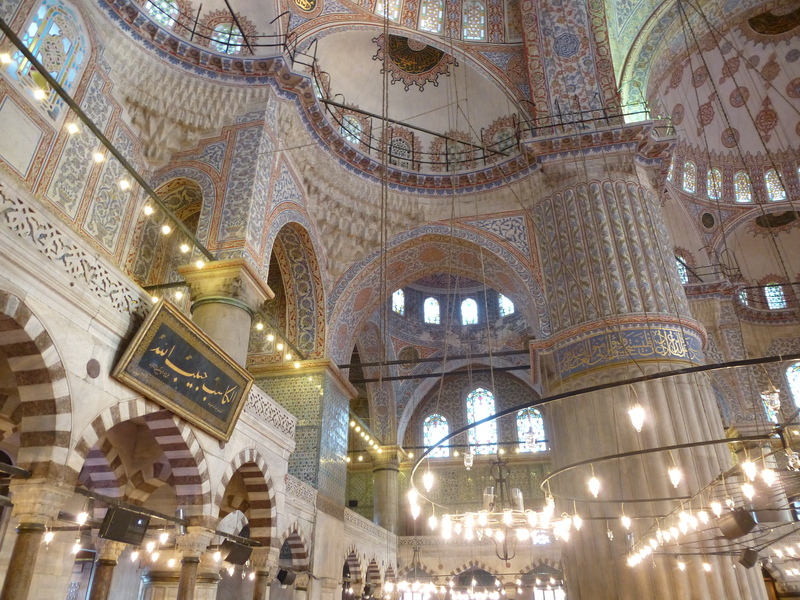 But the awe-inspiring constructions, the delicate decorations, the people absorbed in their devotions, the warm light shed by the overhanging chandeliers and even the carpet under you feet: All of that made me feel a real peaceful and calm atmosphere in the mosques I visited (even those most crowded with tourists). It’s a way I just don’t feel about churches, so these tranquil and beautiful islands all over the map of a city is something I really miss, too. As you might have noticed from one or two of my earlier posts, I’m really into pretty streets, especially if they are embellished with someone’s art. 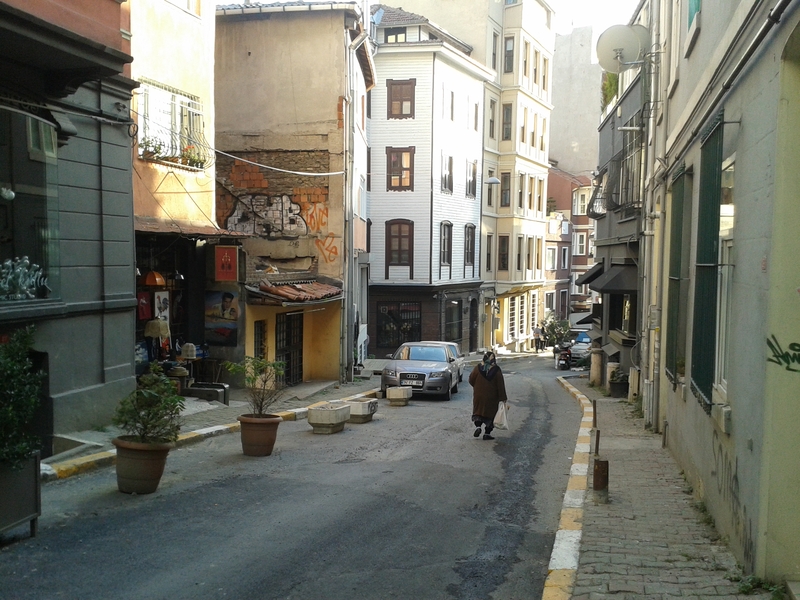 It can’t be a surprise that Istanbul, as a city of an official 15 million people, has lots and lots of these streets. Talking about surprises though – there is one for me personally that has a lot to do with the things I like about Istanbul and streets. More specificly, with the street in which I first discovered the meaning of too many people being in the same place: İstiklal Caddesi. It is one of the most famous streets in Istanbul and is a very wide street lined with shops and ALWAYS, I’d like to stress that, always and at any time crammed with people. The place we lived as a mere five minutes down from İstiklal, so it is save to say that we walked on that street a lot. 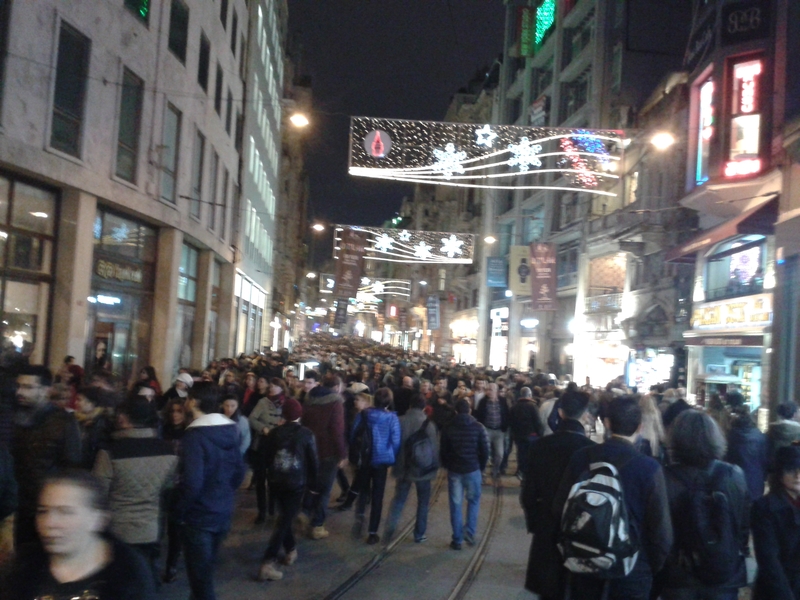 What else is save to say is that after the first amazement of the sheer mass of people waltzing their way here, I sincerely hated İstiklal for all the trouble it was to walk on it. 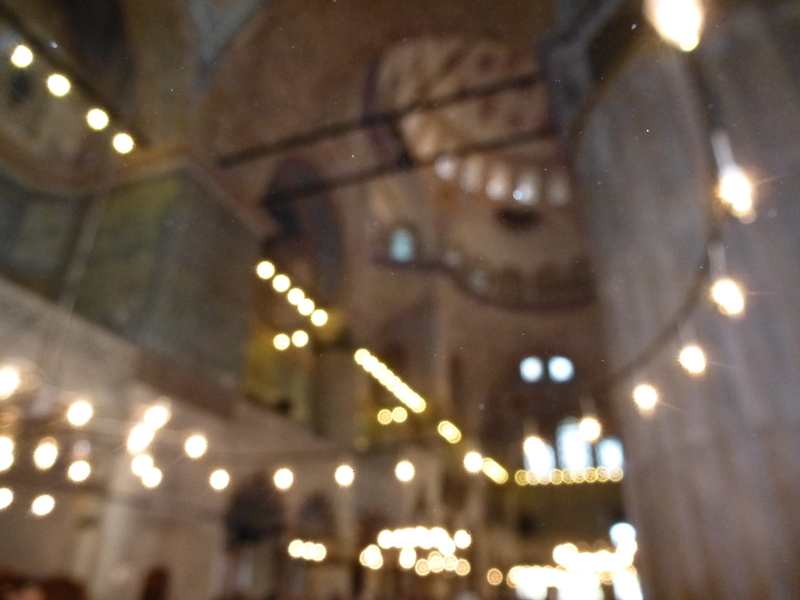 I have never been bumped into, shoved aside, bowled over so many times as I have been on İstiklal – and believe me, it was honestly freaking me out. I sure got used to it after a while and wasn’t bothered so much anymore – but if someone had told me then that two years later, I would start thinking of İstiklal with longing and the desire to blaze my trail through the thousands and thousands of people bustling about on that street: I would not have believed it. 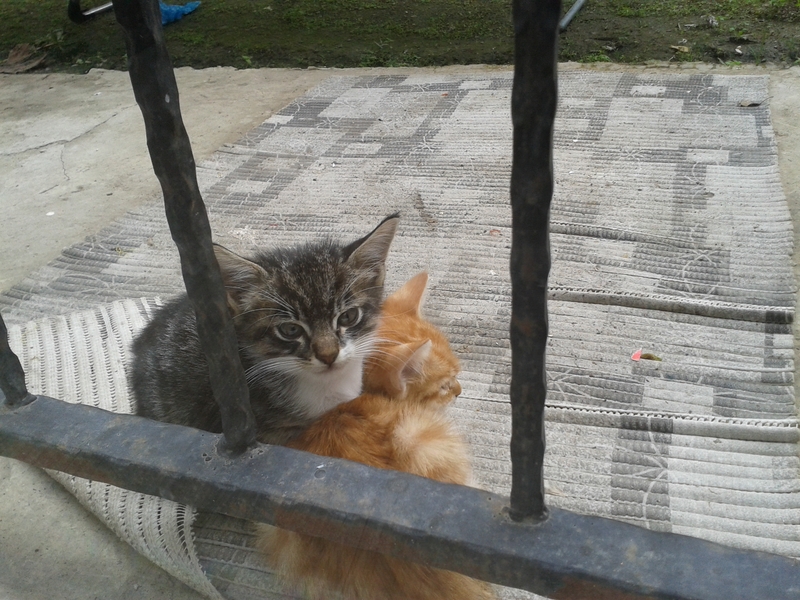 Of course – the cats. What shall I say? 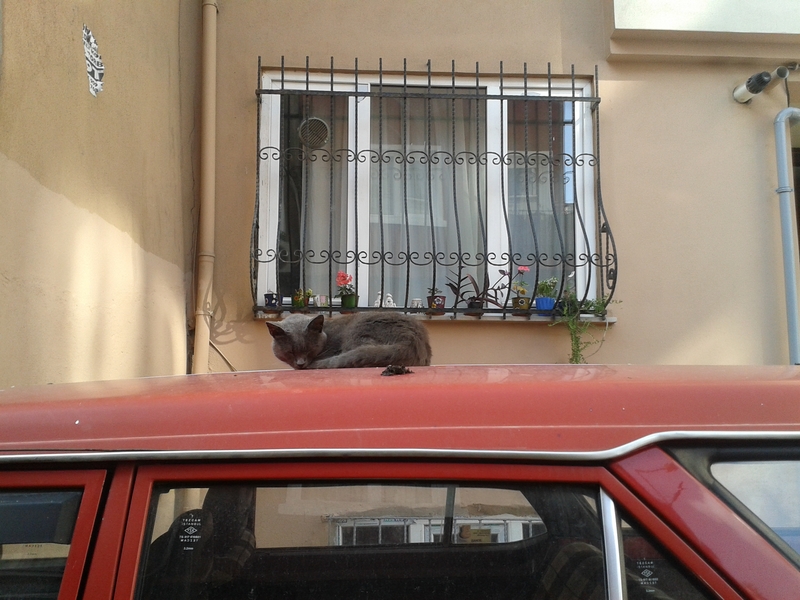 I adore cats and Istanbul is full of them. They are everywhere, in every park, every street, they sleep in every sunny spot and come to every little back garden. 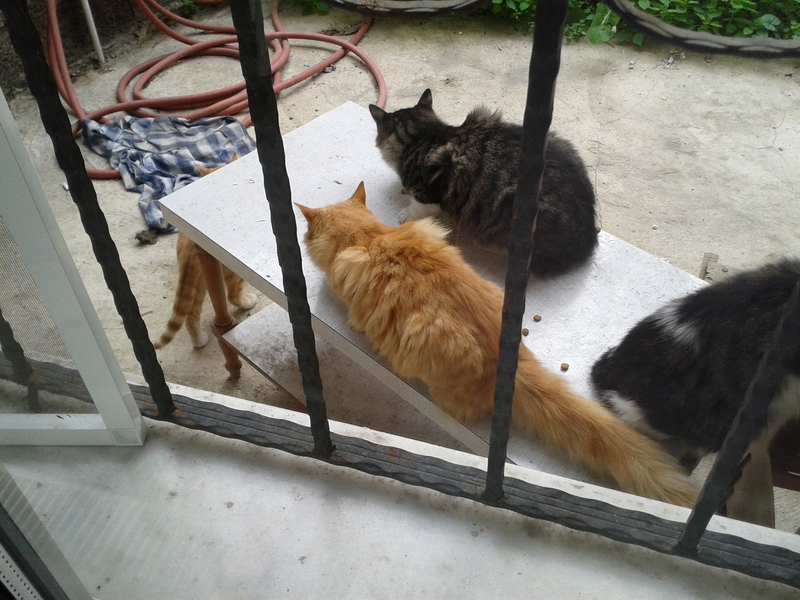 In the latter case, they tend to come back and bring friends along when you actually feed them, which is why we temporarily had up to I think seven cats coming to our backyard because I fed them (sorry Juliaaa). 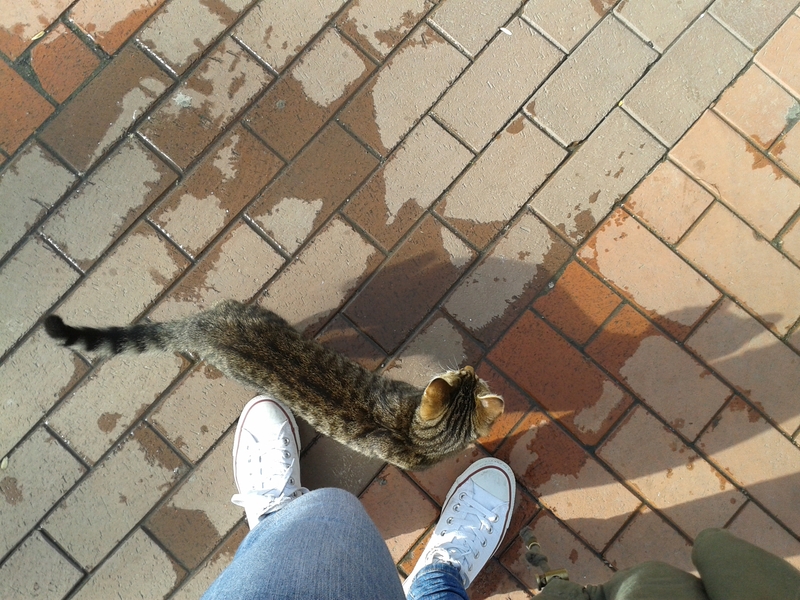 And apart from the fact that of course, I madly fell in love with one of them and still miss it today, I really really enjoyed having so many cats around in the cityscape. 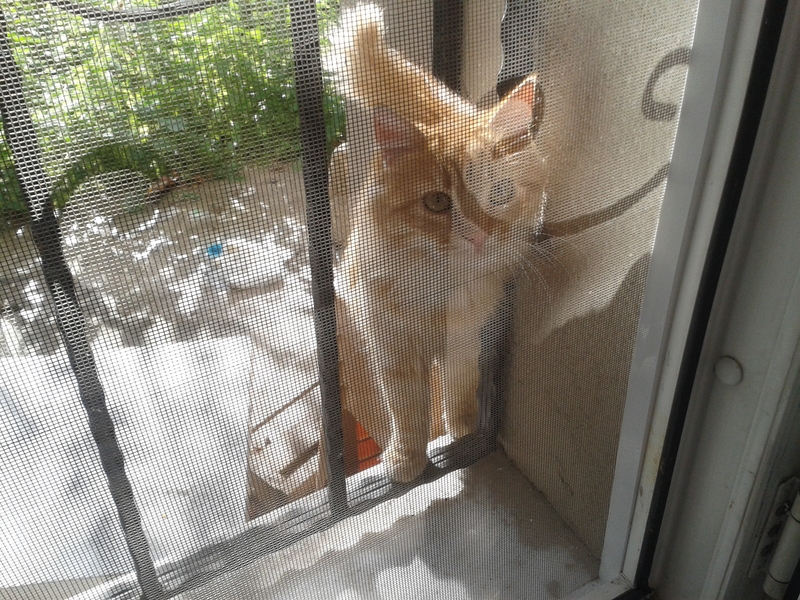 I know it may sound silly, but for someone who is not only obsessed with but also allergic to cats, it was lovely having them around without the necessity to actually have them inside your home. 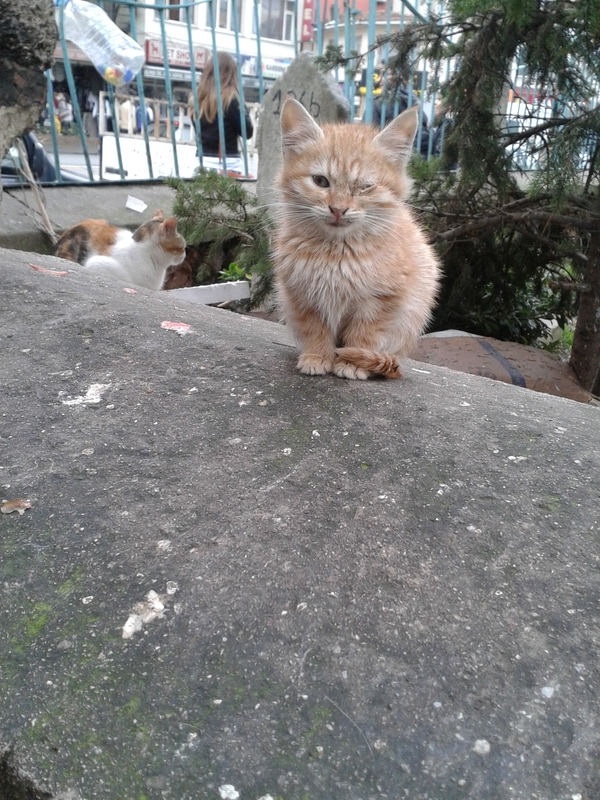 So here’s to Istanbul, the home of millions of cats and a tiny piece of my heart. 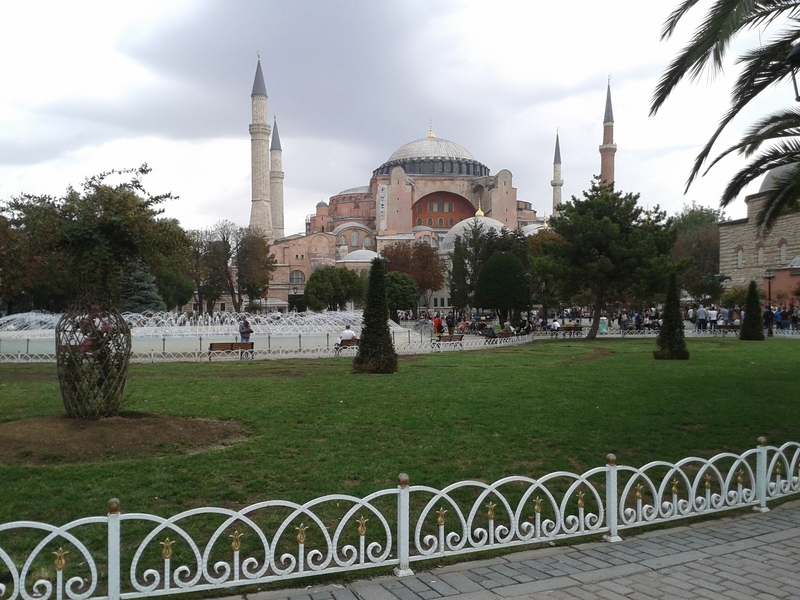 Have you ever been to Istanbul? What are your favourite things about the city? Do you have any additions, criticism, questions? A good recipe for mercimek çorbası? Did I spell all the Turkish words wrong? Let me know in the comments! I did like Turkish delight, but it has a very special texture to it, a bit like gummy maybe, so I can imagine that’s not for everyone. It does come on many different flavours though, so you’d probably find one you like! I’d always prefer baklava over it really. Hope you get to try some of it soon 🙂 thanks for your comment, I appreciate it! Did an exchange semester in Istanbul myself and can totally relate, especially when it comes to my knowledge of Turkish.. the other day I had to read a Turkish piece, work-related, I was the only one in the department who knew a little bit of Turkish.. but alas, that was super tough.. and I wish I had learned more and used it more often!